A Christmas Meal Planner makes planning my Christmas dinner less stressful for me each year. I can take my time on what I want to serve for each course or help keep track of who is bringing what. Keeping it all organized with a grocery list on the same page makes it easier for me visually too. I can flip to just that page in my Christmas section in my household binder and see what I need. There is a spot for everything including desserts, drinks and even household items like special Christmas napkins or tablecloths. So today I have a free Christmas Meal Planner Printable for you too. Christmas should not be stressful so I hope this helps you plan a beautiful meal without fuss. What I like to do is place this Christmas meal planner inside a plastic protector sheet. That way if I am trying anything new I can print that recipe and slip in inside behind my meal planner. Everything is at my fingertips when I go to make my meal plan and grocery list. The key to pulling off a larger meal for your entire extended family or friends is to get organized. It can save so much time and worry. By planning ahead of time allows you to enjoy the extra time with your family and out of town guests. Don’t forget to print my free Christmas gift list printable too. It will help you stay organized with all those gifts this year. Stay on top of what you have to purchase if it was wrapped and if you bought it already. What is your favorite part of the Christmas meal every year? Need more Christmas printables? I got you covered! Download my entire Christmas planner while you’re at it! Does Christmas have you frazzeled? It will be here before we know it. 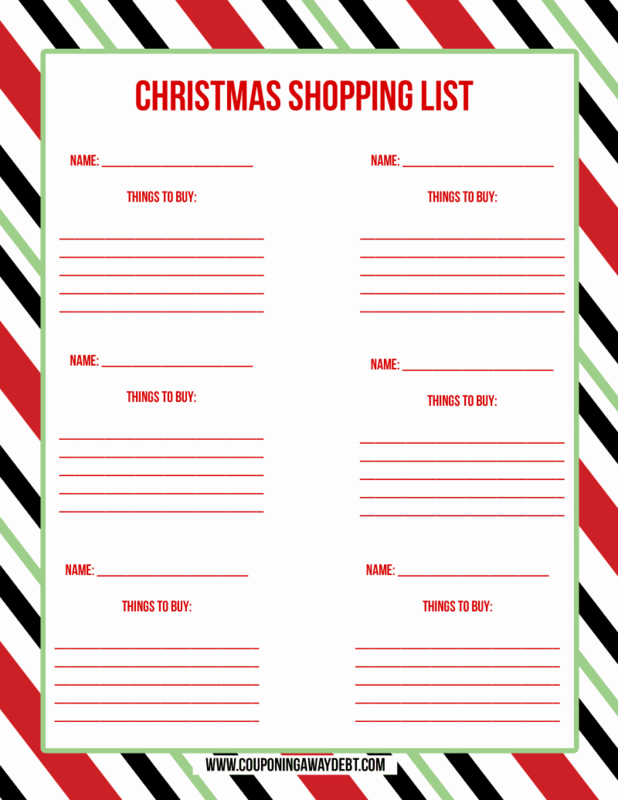 This year make it easy on yourself with my free printable Christmas shopping list. It will allow you to stay more organized. With my kids, friends kids, husband and all other family members I have to buy for each year I love having a place where I can keep track of everything all in one place. 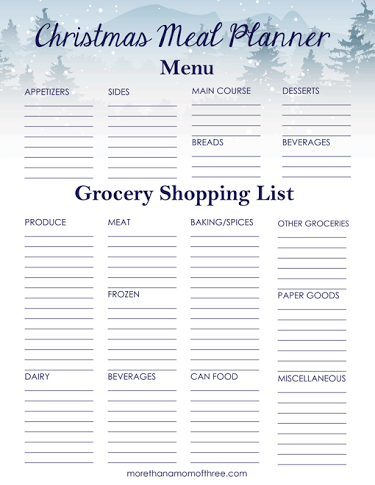 I started shopping months ago as I saw deals so this is Printable Christmas Shopping List keeps me on track so I do not over spend or worse buy the same thing twice, yup that has happened to me last year. Be sure to print it out and take it along shopping.